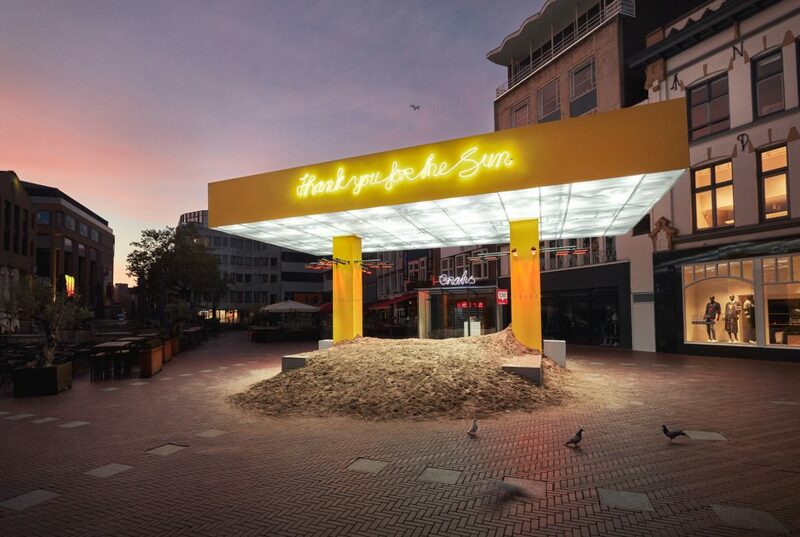 ‘Thank you for the Sun’ is the contribution by VANTOT (Esther Jongsma & Sam van Gurp), Sander Wassink and Job van den Berg. 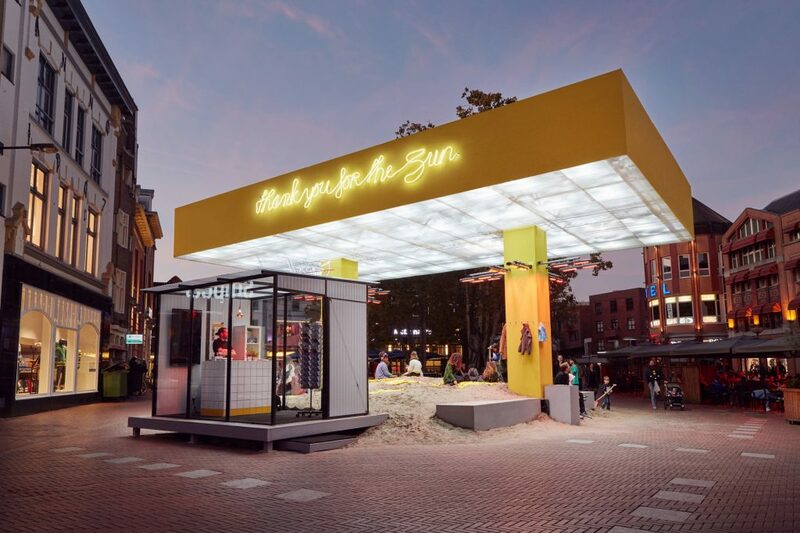 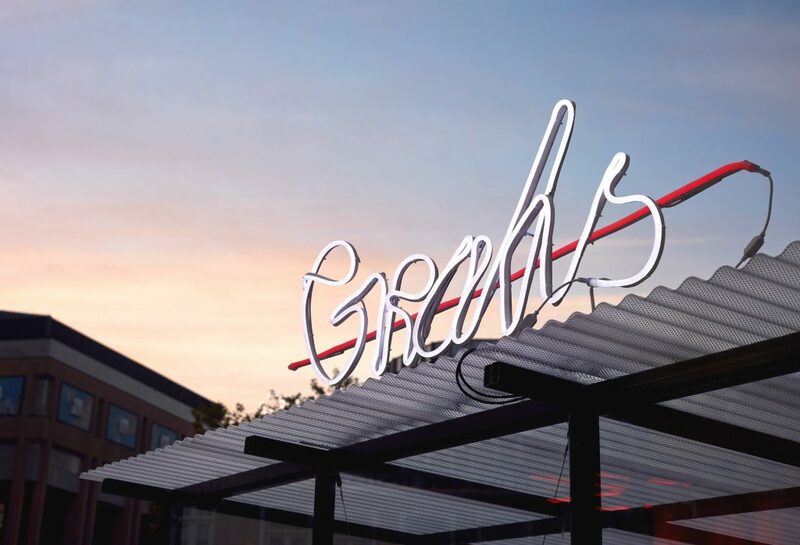 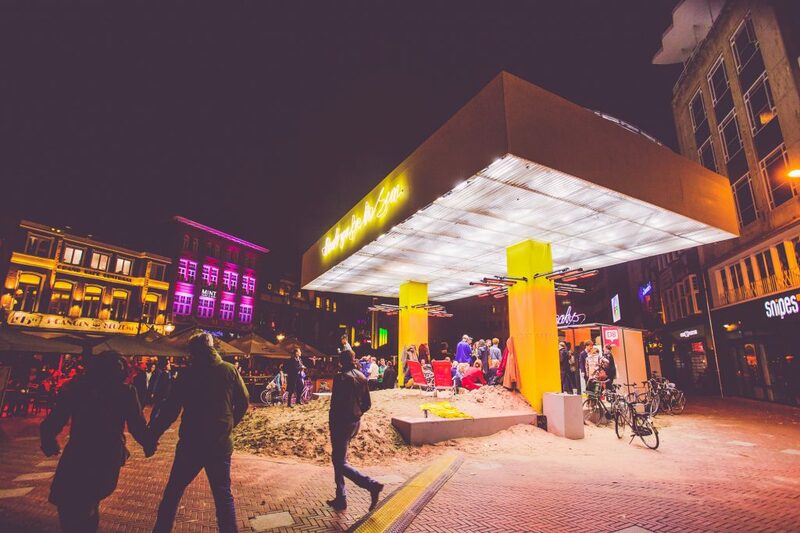 A spot where people come together to shop and relax, encouraging them to consider what will happen when everything related to energy consumption is redesigned. 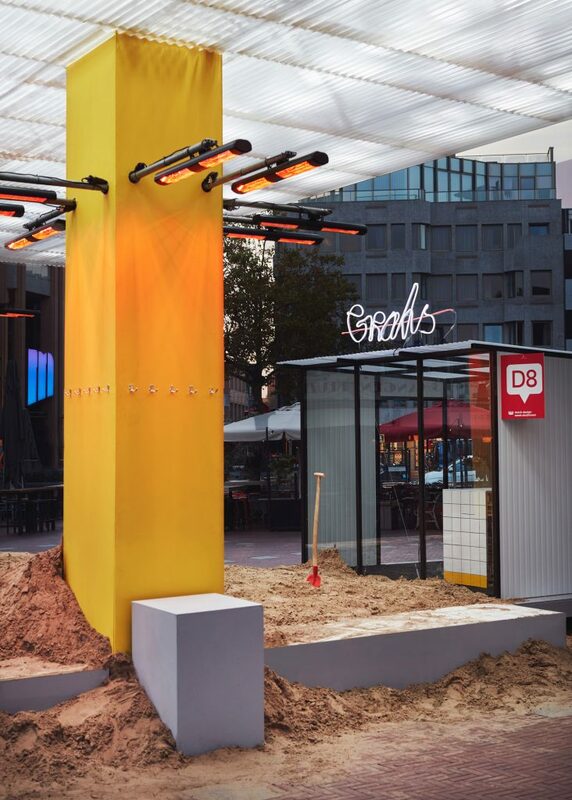 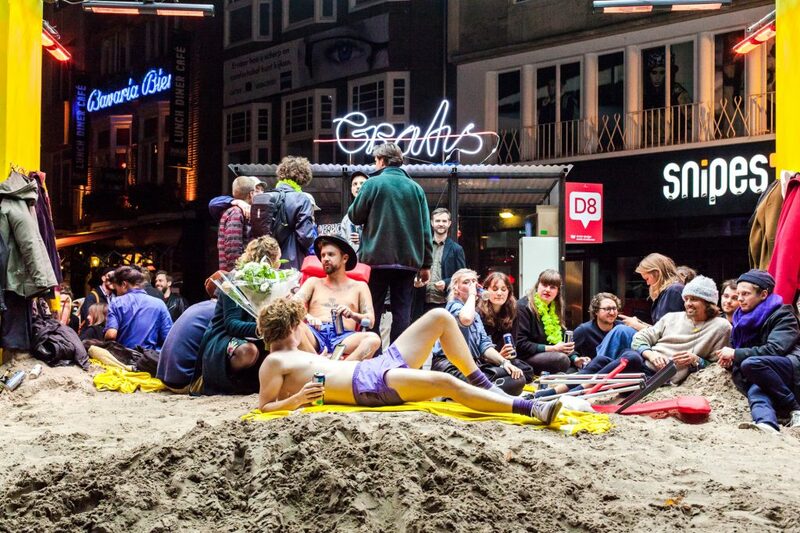 A warm and lighted spot, sand, deckchairs and parasols turns Thank You For The Sun in a venue where the public can ‘refuel’ in the chilly autumn without having to head out to Spain. 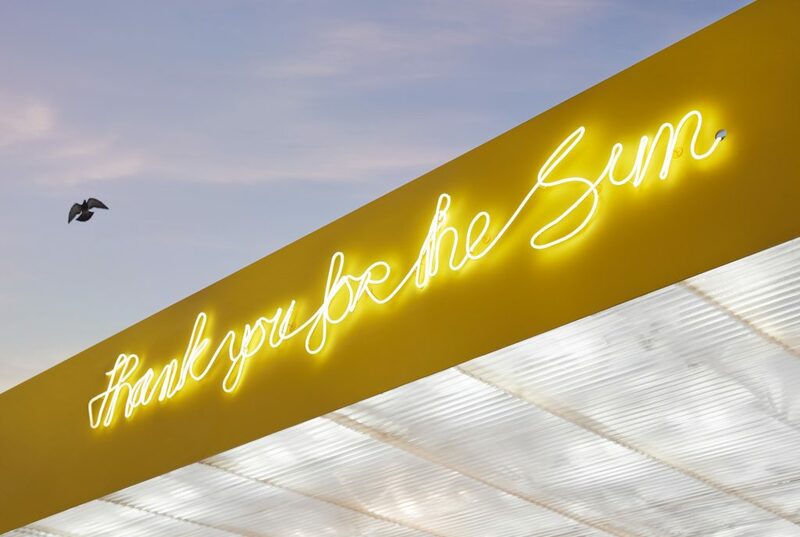 ‘Thank you for the Sun’ is a provocative way of getting people to think about energy consumption.